August 2007 of the British fashion and lifestyle magazine, InStyle. Each issue has a variety of features, articles, interviews how-to’s and tips about lifestyle and fashion. 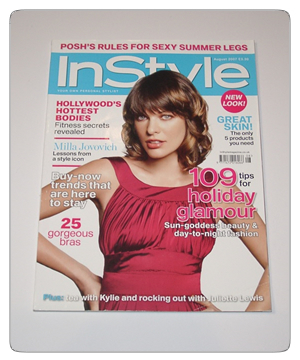 The cover features of this issue are holiday glamour and Milla Jovitch.